BOCA RATON, Fla.— Private Label Brands, a company known for developing high-quality nutripathic products, informed customers of the benefits of its ph7 Base powders for people with diabetes, in time for National Diabetes Awareness Month. November is National Diabetes Awareness Month, and there are a number of ways ph7 Base is beneficial for people who suffer from diabetes. The product is a multi-mineral and herbal alkaline base powder featuring a unique blend of calcium, phosphorous, magnesium and potassium. Among the many benefits of the product are support for healthier digestion, a healthy urinary tract, better calcium absorption and, as mentioned, some benefits for diabetes treatment. Unhealthy eating habits and high levels of stress are both associated with a higher likelihood of Type 2 diabetes. Whether a person already has diabetes or is at risk for developing it, a product that cuts down on cravings and also helps people cut back on the amount of stress they experience on a daily basis will therefore be greatly beneficial in helping prevent some of the negative symptoms associated with diabetes. 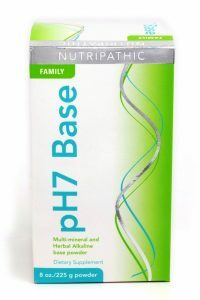 The ph7 Base product also helps to counteract some of the negative effects of alcohol and sugar, both of which can also have a big influence on a person’s potential to develop diabetes. People who suffer from diabetes or are at risk of diabetes encouraged to try ph7 Base to manage their symptoms or reduce their risk and use as a supportive daily dietary supplement.